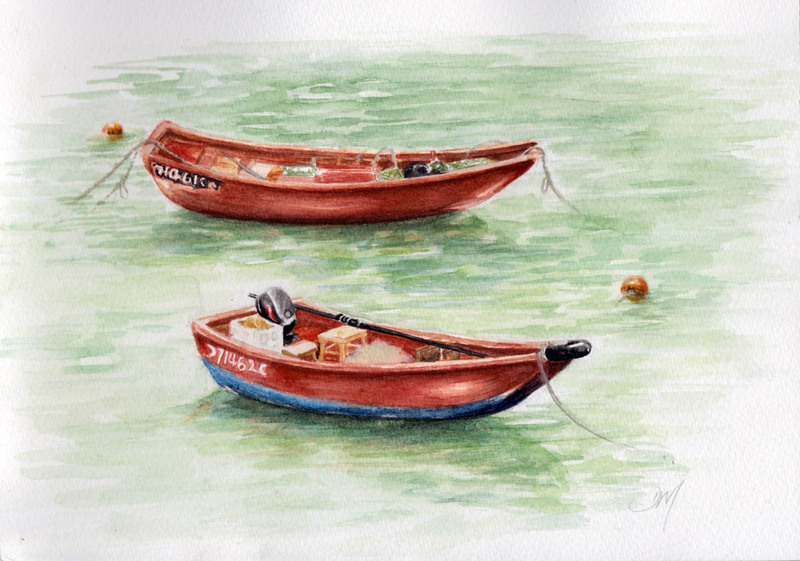 These boat paintings are exquisite! The delicacy of the boats and their vulnerability sitting on the water like that, in stillness and peace, yet so aware that any slight breeze could set everything into motion again... somehow you captured that moment of calm on the water, but we still see that it is fluid and alive... it's breathtaking! You have the delicate touch! This is very beautiful. Peaceful. Superb detail!